It has been hard to avoid spiritual and emotional fatigue in the face of the policy turmoil that has characterised Australia of late. “The arts in general have been in a state of free-fall,” said Angharad Wynne-Jones, AD of Arts House, in conversation with Esther Anatolitis on Audio Stage in October 2015. The industry, characterised by precarious employment and low wages at the best of times, in the last two years has been hit by a string of far-reaching, non-consultative and thinly explained funding and policy decisions which have left the sector in a state of collective burn-out. 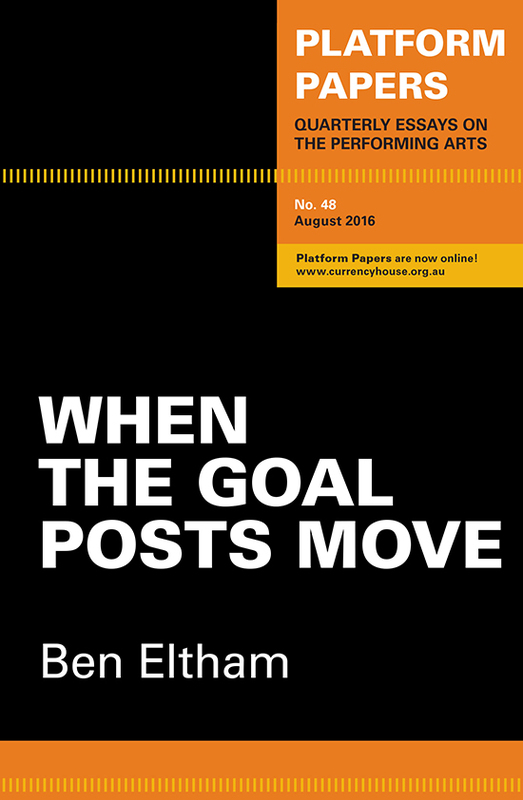 These decisions are charted and analysed in Ben Eltham’s Platform Paper Number 48, When the Goal Posts Move, which reaches wide, from direct reporting of the political situations as they took place to broader cultural analysis of the spirit of these policies. For those whose income, professional practice, and sense of social belonging, are tied to the arts economy, the tally is devastating: $105 million removed from the Australia Council at no notice in 2015, followed by $87 million removed in 2014; $52.5 million further removed in December 2015; a grant round cancelled by a shocked Australia Council in June 2015, followed by the suspension of the eagerly awaited new six-year funding program for small-to-medium companies; one-third of the $105m returned to the Australia Council; and, finally, 65 organisations defunded on 13 May 2016, the ‘Black Friday’ for the arts in Australia. In response to the policy decisions that affect Australian culture, the arts sector has historically tended to be idealistic, politically naive and disunited, with large, well-funded organisations rarely willing to side with the independent arts, and the independents too often consumed with basic survival to engage with politics on a larger scale. However, the severity of the impact of recent policy decisions has prompted changes in the ways the sector engages in the political arena, as well as in industry conversations. We now talk about burn-out in a way we haven’t before. Under the banner of #freethearts, artsworkers, for the first time, are speaking to the public with one voice. And grassroots political organising put the arts on the 2016 parliamentary election agenda to a degree unprecedented in Australian politics. All of this, too, is described in Eltham’s essay. “It’s one of those fraught times, when the challenge is to reflect back that confusion in a way that shares the empathy, frustration and concerns that we all have, while communicating the confidence that the arts are stronger than any arts minister,” said Esther Anatolitis, CEO of Regional Arts Victoria. Importantly, a lucid and impassioned analysis of cultural policy has been on the rise, creating a serious discourse around an industry that, as we can now say, with data on our hands, employs more people than the mining sector. 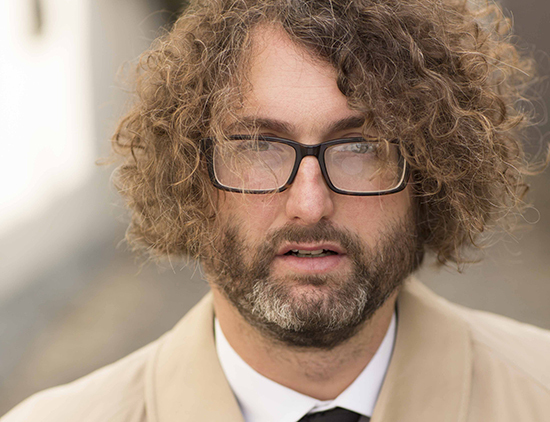 Ben Eltham’s paper forms part of that discourse. The essay is less interested in documenting the grassroots activism that the cuts have spurred, though here, too, Eltham’s reporting is meticulous. Noting the country-wide protests, the galvanisation of the arts community in response to the Senate Inquiry into Brandis’ policy decisions and the establishment of the Free The Arts alliance, he takes time to chart the advisory role of the SLAM (Save Live Australian Music) organisers, who bring their know-how to Tamara Winikoff of NAVA, Norm Horton and Sarah Moynihan of Feral Arts, and Jade Lillie of the Footscray Community Arts Centre, in mobilising independent artists. The essay is not, however, a manual on how to build a grassroots political movement—though perhaps that would be even more useful to know. This is Ben Eltham speaking as a cultural policy scholar, deeply engaged in fundamental questions of what cultural policy could and should do, and it is a shame that neither the limited scope of a Platform Paper, nor the highly politicised state of arts policy in Australia, allows for those questions to be at the fore of this paper. Arts funding decisions should be a reflection of what we value, and who we want to be as a nation. One can only hope that clear, considered essays like this one will pave the way forward.